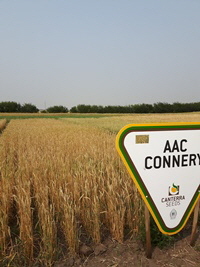 AAC Connery combines high yield potential with the benefits of short, strong straw. The only awnless, semi-dwarf wheat currently on the market. High yields with broad adaptation. Improved FHB rating. CDC Landmark VB is the first semi-dwarf with midge tolerance. It brings the high yield normally associated with a midge tolerant variety along with vastly improved standability, high test weight and protein content. As an added bonus, it has a semi-solid stem for improved sawfly tolerance. An ideal replacement for Unity which will no longer qualify for CWRS class. AAC Viewfield is the shortest CWRS and stands poker straight, making production and harvest a breeze. It’s a top yielder with good resistance to fusarium head blight (FHB) and sprouting. 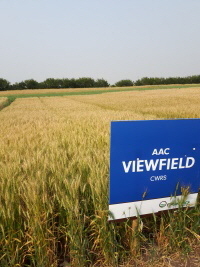 AAC Viewfield is a stand-up bet for all areas of Western Canada. 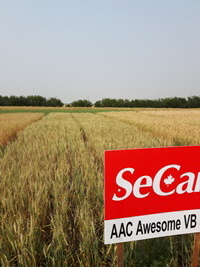 AAC Awesome VB is a midge tolerant special purpose wheat. Soft white kernel type with high yield potential and excellent straw strength. Expected to be ideal for silage production. 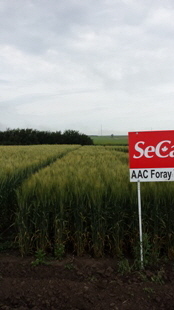 AAC Foray VB is a high quality CPS wheat with early maturity, midge tolerance, improved protein content and good disease resistance. A great fit for all CPS growing areas, especially those affected by the orange wheat blossom midge. 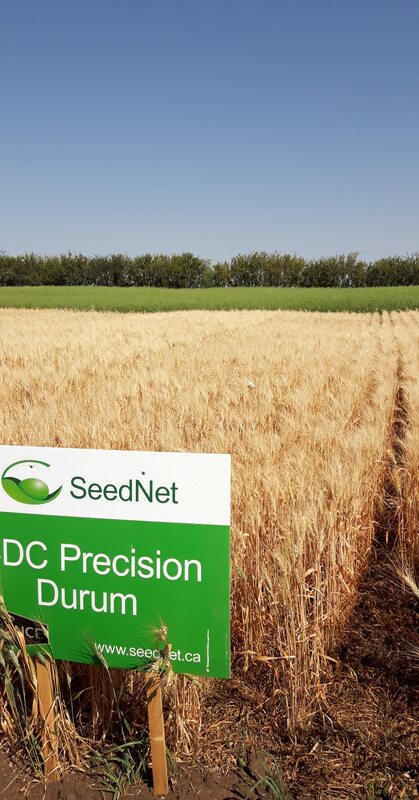 CDC Precision CWAD Prairie Durum growers invest heavily in innovation and technology to maximize production, responsibly. By setting the new standard for yield potential without sacrificing important agronomic characteristics, CDC Precision stands out as the elite option for todays producer. Highest yield CWAD - 118% of Strongfield; Improved standability, reduced height and improved protein to Brigade. 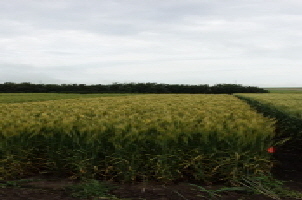 FHB rating is best available in durum class.